One after another Instagram trends always shocks us. People will do anything to get famous on Instagram thats why these trends become so much popular. There a long list of Bizarre and awkward Instagram trends, so long that it would literally take a whole day to write them. Some crazy folks started another weird Instagram trend and it’s disgustingly ugly for a natural human being. This time it’s the Reverse Mohawk trend, instead of keeping spikes in the middle of the head, people are clean shaving their heads from the middle thus calling it Reverse Mohawk. For this all you have to do is ruin your haircut, take a nice picture of your shaved head and post it under #reversemohawk tag. 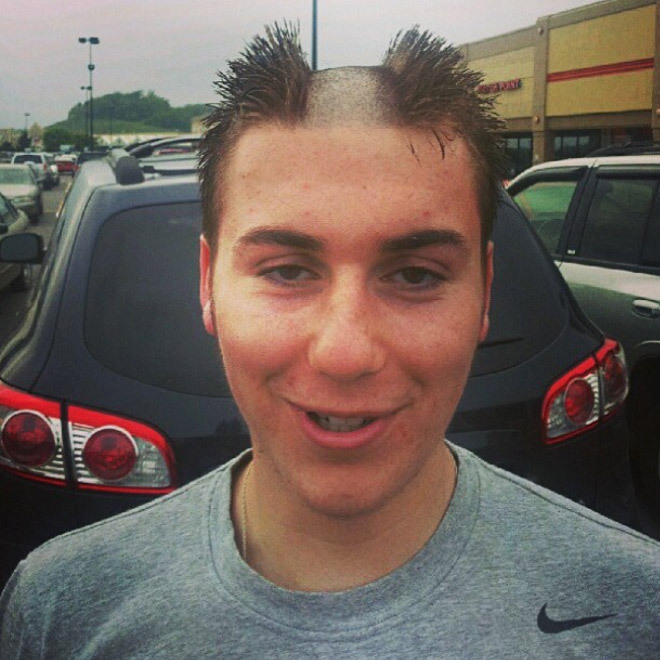 Take a look at these hilarious Reverse Mohawk hairstyles.